Be Fit offers a unique approach to weight loss and lifestyle change. Our goal is to consistently integrate exercise and nutrition to help our clients achieve long term health and fitness goals. Our weight loss program stands out in that our clients are given advice on how to best follow a nutrition program to help not just lose weight but maintain it. 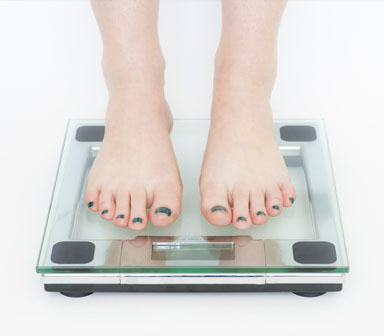 We understand most people can lose weight but struggle with maintaining a healthy balanced weight. It is imperative to incorporate healthy behaviours into your daily lifestyle pattern. One such behaviour is proper nutrition and we find many clients lack in this area. Our aim is to help you become nutritionally conscious in your goal to lose weight. Whether you come with a specific goal to lose weight, or maintain a healthy weight we will help you make it. We guarantee you will lose a significant amount of weight as long as you train with our personal trainers. Our advice and technique will be sufficient to help you continue to lose weight even outside of the program. We offer nutrition classes emphasizing a healthy approach to eating habits. Be Fit provides nutritional counseling, how to shop for your weekly meals and menu planning. At the heart of our program at Be Fit, we aim to help you change the way you feel, think and act. Our weight loss program is not the typical every other program you would find out there. We look for solutions, on whether it is to manage the daily stresses of life, ordering nutritious food when eating at restaurants or teaching you how to shop for healthy foods and prepare them. We are like the school for change, the college like experience where you learn to discard old habits and adopt new behaviour patterns for long term lifestyle change. We encourage you to mingle with other clients as you go on a discovery of how good nutrition works in conjunction to weight loss. Our program is not based on calorie counting. We have designed specific plans to meet the nutritional needs of your body. Your health is not just depended on weight loss. Proper nutrition matters. Be Fit provides advice and guidance on calorie controlled meals but delicious meals as well. We remove barriers that keep people from following a proper nutrition plan. One such barrier is lack of variety. Our meals vary ensuring you do not get bored one week to the next. Our experts design the planning taking into consideration recipes, variety and nutrient content!